Chicago, IL – January 5, 2015 – When equestrian sensation Gia Rinaldi travels across the country competing, her GhoDho breeches are always along for the ride. Rinaldi’s first introduction to GhoDho came at a horse show. She saw the breeches and was immediately intrigued by their style. GhoDho is thrilled to welcome Rinaldi as an ambassador for the brand. 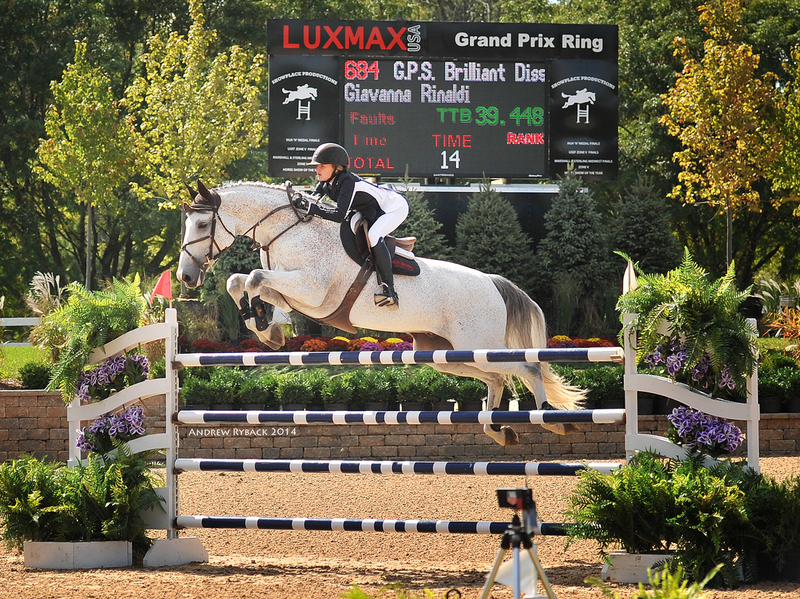 At just 14 years old, Rinaldi won her first Grand Prix at only her second try. Now at the age of 15, she has an impressive resume that includes winning the Grand Prix at PBIEC after circuit of WEF, winning two first places at the Kentucky National Horse Show, winning two different classes at Pennsylvania National Horse Show, and becoming Devon champion in the junior jumpers. Most recently, Rinaldi won the Pessoa Medal at PBIEC and is now qualified for the George Morris Excellence class at the end of WEF. GhoDho is launching a new line of show breeches. The breeches incorporate the function and classic colors expected in competition, as well as the progressive style that makes it “GhoDho”. GhoDho breeches are available for purchase directly from their online shop or from a retailer near you. GhoDho show breeches will be released in summer 2015. To learn more about GhoDho, visit www.GhoDho.com.